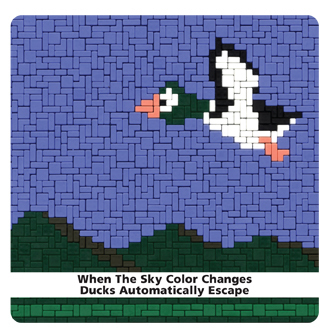 Another compilation from the Ak Duck vaults, this release first surfaced in 2004, and explores the varying forms of beat-driven electronics that were at the heart of the label's sound back then, featuring such familiar names from their roster as Mule Driver, Acute, Or Burstein, Spark-O and Ambidextrous. Once again, it's worth stressing that electronic music in all its challenging modernity is absent from this release, but anyone with a hankering for the thuds, squelches and melodic synth programming of the IDM era will want to check this out immediately. The Israeli label presents a neat alternative to the kind of Western European artists and imprints that defined this music over the years, and this compilation exhibits plenty of valid contributions to this most unfashionable of genres: from the crunching beats and sampled strings of Digital_Me's 'Your God As A Metaphor' to Kalbata's acidic 303 assaults, there's plenty of room for variety within the IDM canon.